If you insist a bit, you'll find that beyond the substandard recording, there is some pretty decent music to be heard in this De Profvndis Clamati's "enhanced" Ep. 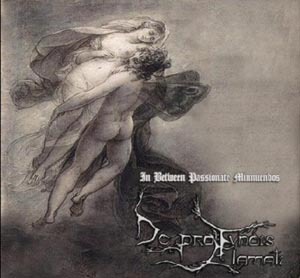 De Profvndis Clamati is a band that has been around for ten years now, yet have only released a single EP, entitled In Between Passionate Minnuendos. The EP originally consisted of two short tracks, with only one of the songs being actual metal. However, with the addition of two (considerably longer) songs on the special edition release, In Between Passionate Minnuendos becomes more of a full album. Upon first listen, I had a hard time getting into the album, overwhelmed by the poor sound quality. However, after giving it another try and listening more carefully to the songs themselves, I have found that beyond the substandard recording is some pretty decent music to be heard. With the two bonus tracks, the otherwise short EP becomes sort of an epic trilogy, with the first track (‘Undying Orchestral Suite’) being the Neoclassical overture to three majestic songs of Symphonic Doom Metal. Although the band is commonly regarded as Funeral Doom, their use of various rhythms and influences remains predominant over the achingly slow and minimalistic dirges that would be necessary for the restrictive label. While influences from Skepticism and Mournful Congregation are clear, the band also draws references to the works of My Dying Bride, Empyrium, Agalloch, and even Wolves in the Throne Room! 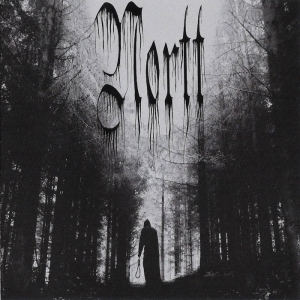 Each song is structured around the rhythm of the music; starting out with moderate or funereal slowness and gradually building up to climactic segments of Melodic Black Metal. Pianos, synths, choirs, and organs take the center stage, complimented by simple and repetitive guitar melodies. The riffs are very fuzzy and light, and never leave as big an impression as the rich symphonic textures, but at least do a good job of providing harmony throughout. Even deeper in the mix are the vocals, which consist of inoffensive gurgles and deep spoken vocals. The vocalist’s obscure rasps and growls sound rather weak as opposed to his spoken vocals, which consist of sick groans and death rattles. In fact, the darkest moment of the release would have to be a breakdown during ’To Appease the Whirl of Passions’, in which his miserable dying moans croak over a desolate piano interlude. 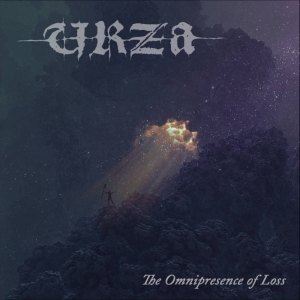 While the actual harsh vocals lack real depth and power, they help the music retain its romantic and ethereal atmosphere, to which gutturals or screams would have been too abrasive to really fit in. As I mentioned before, the biggest drawback to this release would have to be poor sound quality. The primitive and fuzzy sound of the recording causes the release to sound amateur and unpolished, and I personally believe music with a lot of orchestration or symphonic elements is meant to be heard in clear and resonant quality. Perhaps if the music were more raw and minimal like Worship or Loss, the band could have benefitted from the low definition. However, this flaw shouldn’t completely turn off fans of romantic and tragic Doom Metal. 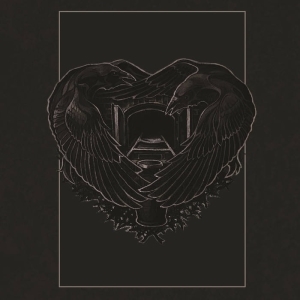 All around, I see In Between Passionate Minnuendos as a tribute to the majestic and synth-heavy Doom/Death Metal that Desire, Thorns of the Carrion, and Morgion made back in the 90s. Their blend of dark and mournful Doom Metal with Neoclassical elements should be appetizing to those who appreciate Estatic Fear, Remembrance, Cryptal Darkness, and Virgin Black. Visit the De Profvndis Clamati bandpage.